I can read your mind. 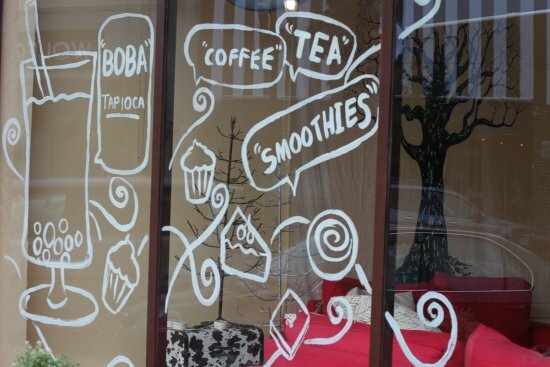 You dream of having a thrifty retail space to call your own. There are shelves and shelves of vintage records and books. The sweet combination of pastries of coffee fill the air as you shop because this is a combination book store, thrift store, and coffee shop! Not your dream? Well, it's mine. Sometimes when I'm at the office writing search engine optimized copy, out of the blue I'll start to vividly imagine a brick and mortar Thrift Core Shop. The Thrift Core Brick and Mortar shop has a split personality. It's part studious, quiet, academic book store. 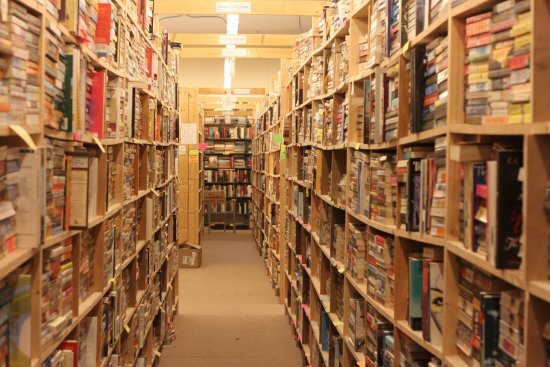 The claustrophobic shelves full of books embrace you as you hunt for the perfect tome. It's a cozy spot where you can sit, read, and drink your favorite caffeinated beverage from the cafe. One of the friendly green-eyed spotted shop cats may approach you as you sit, but they'll only hop on your lap if you want them to. 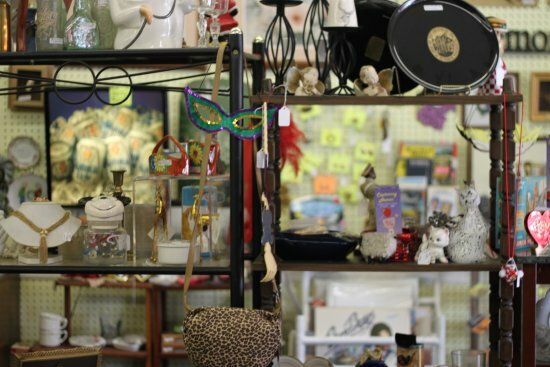 The other half is a thrift store, replete with retina-searingly bright and campy kitschy items, vintage treasures for your home, and vintage duds for every taste, shape and gender. Twice a month I showcase colorful art from local artists; there is an eclectic mix of styles and subjects. It's a stimulating space, and in the thrift store section there are a few more inviting chairs and tables where you can sketch up some ideas. You'll want to after being inspired by all the vintage treasures. It's a dream, so there's so worry about the paperwork hell, taxes, and the stress that comes with owning a Brick and Mortar shop. 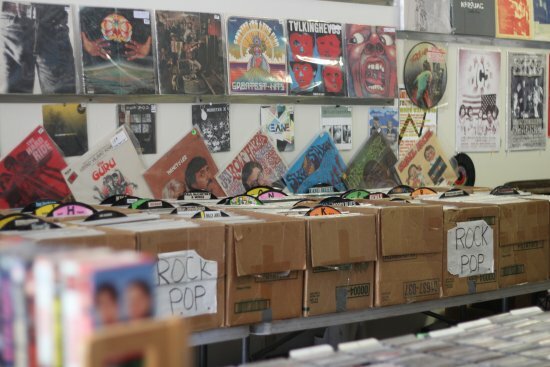 There's just a creative, inviting space: combination book store, record store, thrift shop, art gallery, and cafe with the best qualities of each. Would you come visit the Thrift Core shop? What are your Thrift Shop Dreams? I would visit and spend I dream I am at thrift shops love those dreams. Id love a vintage dress come junk shop maybe with a vintage teashop or 50s style cafe on the side. Yes. Let's do it together. But you'll have to come to Ohio. My neighborhood is the PERFECT spot. Nelly: A combo vintage dress store/cute tea shop would be dreamy! Fenn: Who knows, maybe one day! You'd be good at it with your good eye/stylist skills. We could put a photography studio in there, too. Ah, to dream! Brian: It would have to be big a space with the cafe away from the books like our local Chamblins Uptown (replete with cafe) to take care of that issue! Lee: Plants, seed, veggies, and guitars too! How could I forget these important ingredients ;)?! I sure would visit! That sounds lovely. Some friends of mine were tossing around the idea of opening a cafe, but we then had an idea of turning it into a place with a lived-in feel...via the thrift. Decorated and furnished entirely by the thrift...as sort of an interactive thrift museum. We'd love to get that up and running. What a wonderful dream! Mine is to live in a trailer or camper traveling around the country...hmmm what could I sell, I suppose if I had a large storage unit on top I could haul stuff with me. Jackie: That sounds beautiful! 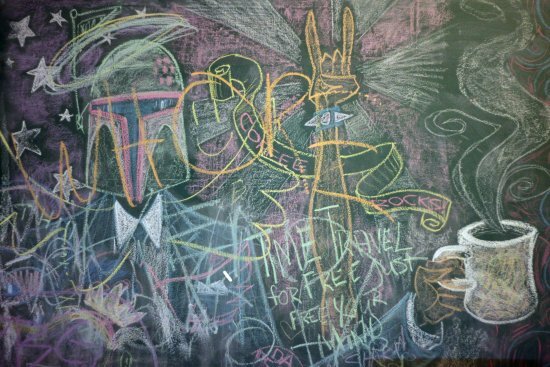 That reminds me of the vibe of my favorite cafe (pictured in this post, the colorful chalkboard). It's lived in with thrifted furniture and plenty of tables for us crafty types to come and work. I love it. Victoria: So many of us are dreaming of a thrifting road trip, maybe one day I'll land a sponsorship and drag some of you guys along! Jolene: That reminds me a nearby bar that has two big screens where they show retro movies/commercials...and they have a loft, too ;) That would be lovely, it's so fun to dream. I love to think of opening an outdoor theater in the area where you watch flicks like "Jaws" or 70s Grindhouse in the pool...or a normal drive-through. I miss drive-throughs! This sounds perfect - count me in as a customer! I would visit, read, shop, sip coffee, enjoy your shop! A great dream- hope it comes true for you! HELL YEAH I WOULD!!! =) And I love it like home! Oh yes, the Vinyl Whores and I have the same dream. Clothes and housewares for me, records and books for Garth and a cafe for Dan. Ours will also include an after dark performance space! Oh, yes! I would come visit! I would love to sit in there with coffee, a kitty in my lap, and a vintage BHG cookbook. :) And then I would shop for fun things for my home. Love this! Oh yes, I have these dreams too! oh my gosh i would so come visit. i would work for you, even. this is thrift nirvana. Sparrow's Nest: How could I forget cupcakes?! They're another important part of the formula, but I'll have friends who like baking supply them. I don't bake! Monogirl: Opening our dream stores as a group would work best. So ideally one could run the vintage operations, another the cafe, etc. That would be sooo rad! There are very few quality coffee nooks, vintage book/record shops, or quality antiques shops in town, let alone close enough together to enjoy in an afternoon. I think something like that would do really well. I dream of the same kind of shop - thrift, coffee, books, and acoustic cafe. Ahh, one day!